Doors open at 10:30pm, and we keep going until late! 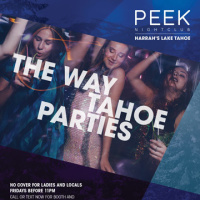 Friday Nights at Peek Nightclub, Lake Tahoe's Premier Nightlife Destination. 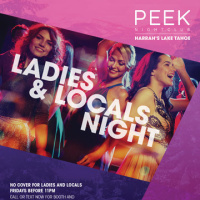 Peek Nightclub offers some of the best entertainment and DJs from around the world! Our tickets include Fast Pass entry as well, so its a great way to beat the line!